Need a mother-daughter day to reconnect and just have fun? 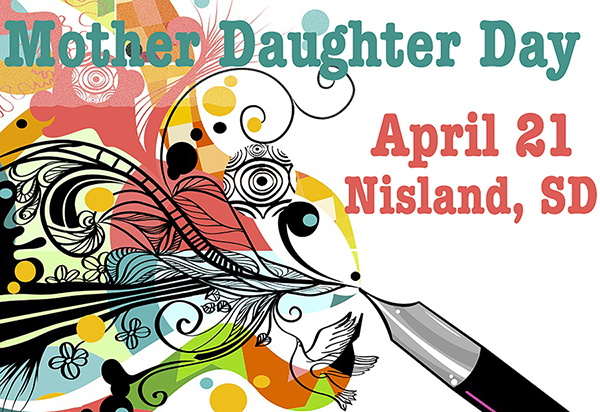 On April 21, 2018, will be the Write Stuff: Mother & Daughter Day hosted by Codi Mills. 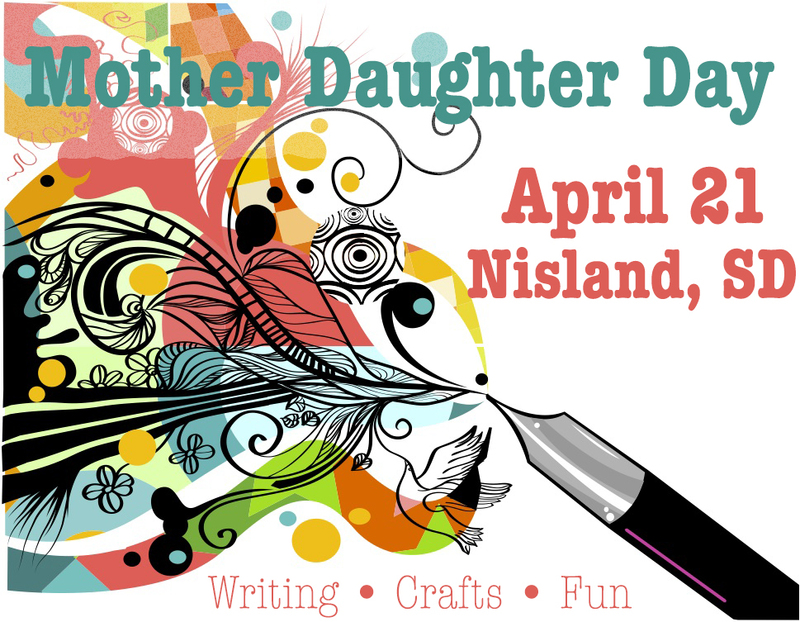 This one-day event will offer a chance for moms and daughters to connect with fun writing, music, and craft type projects. It will be hosted at High Plains Game Ranch north of Rapid City, S.D. near the town of Nisland. Open to mothers with daughters ages 11-14, you should attend if you want to spend quality mother-daughter time together in a care-free environment. Not a writer? That’s fine! Don’t excel at crafts – okay! No pressure here, as the goal of the day is to come have fun no matter what the activity. Space is limited to 6 mother/daughter pairs. When you register, please sign up under the mother’s name and contact information. You do not have to register your daughter as the ticket amount will cover her registration fee. Lunch will be provided. Sessions are designed to spark creativity and be mother-daughter interactive. Mind Bin Clean Out – It’s spring cleaning time so let’s do a little mind purging as well.